Welcome to Make It Monday with the Kraft Outlet. Use this week's "Christmas in July" theme to inspire you to create a project and then link it up at the bottom of this post before 6:00 p.m. (Eastern Time) on Sunday July 31, 2011. All participants in our challenges for the month of July have a chance to be featured on our "Feature Me Fridays" posts as well as be entered to win a $15.00 Kraft Outlet Store Voucher! The more challenges you enter this month, the more chances you have to win! Special Notice: If you use the CD Sleeve in ANY of your projects submitted in July and/or August, you'll receive an extra entry into our random $15.00 Kraft Outlet Store Voucher drawing for those months, so buy some Lunch Bag Kraft CD Sleeves today and enter your projects in July and August for extra chances to win... we can't wait to see what you create using this fantastic product! ﻿ For this week's Christmas in July challenge, Audrey created a card that mixes and matches lots of different cardstocks from The Kraft Outlet for a neutral, yet eye-catching look. She started with a Brown Kraft Coverweight Cardstock base and layered in Buff Ivory Coverweight Cardstock as well as Lunch Bag Kraft Cardstock. The varying tones of color work well together while adding lots of visual depth and dimension. 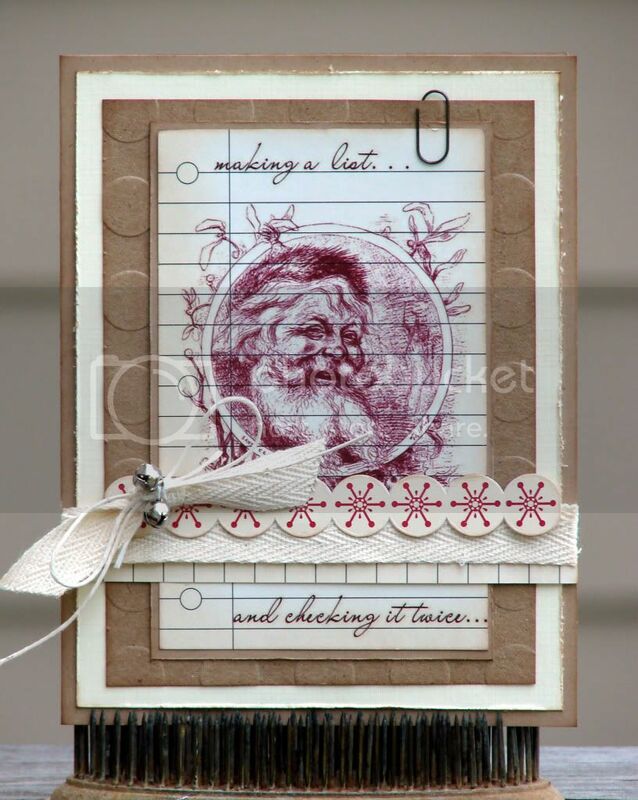 Audrey added a jolly Santa image on a Memo Book journaling page to the center of the card and detailed it with a thin strip of Memo Book, a cardstock border sticker, and Natural Twill Tying Tape. A mini paper clip and jingle bells tied with Hang Tag String finish things off. ﻿ Jennifer used a variety of products from The Kraft Outlet to complete this cheery Christmas card! 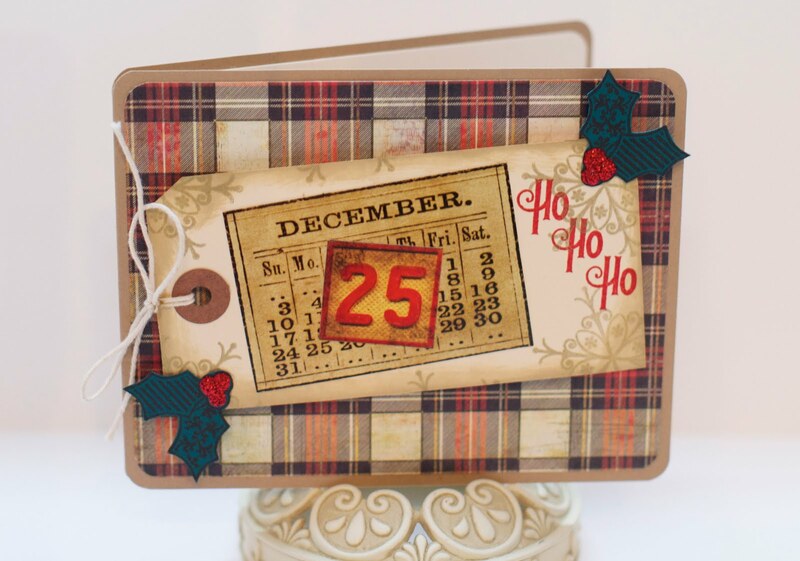 The card features plaid paper, a distressed tag, and Salvage Stickers all on a Kraft cardstock base. 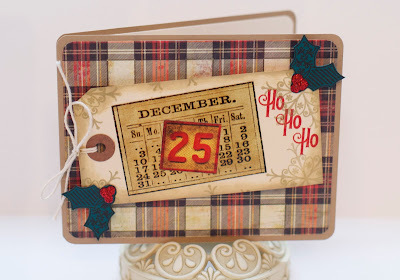 A little bit of stamping on the tag and the holly complete this festive greeting. Head over to Jen's blog for more info! For the Christmas in July theme, Frances decided to go ahead and get a head start on scrapbooking last year's Christmas pictures. She used lots of Kraft Lunch Bag Cardstock on her layout. She first used 1 Large and 1 Small Brown Kraft Shipping Tag to ground her title. In the hole of the shipping tag, she wrapped Red Baker's Twine to add a bit of color. She also used Lunch Bag Kraft Cardstock on a few of the snowflakes and for her journaling. For more close-ups, visit Frances' blog, Forever and a Year. I'll just have to think of something else!! I love all of the projects! Great inspiration projects by the DT!! !